This week on Young PR Pros, Kristine Simpson, Julia Kent and Molli Megasko get together over a Google Hangout to discuss how students and young professionals can use LinkedIn to connect and potentially land a job. But first, check out the TED video we saw by Richard St. John’s called “The 8 Traits Successful People Have in Common: 8 to Be Great”. The three minute video talks about eight traits successful people have in common, a lot of which we mentioned in last week’s episode. If you want to know more, check out Richard’s book on Amazon. Also, thanks to Sarah Bustard, an interviewee in episode 1 and an avid listener. She shares with us another interesting internship recruitment campaign similar to the Maverick campaing we talked about in episode 5. Check out Sarah’s song she wrote about her social media skills. Kristine uses this example to remind our listeners that we don’t need a recruitment campaign to be unique. Make a video, write a song and share it with potential employers and you will be sure to stand out. In this week’s episode, Kristine catches up with Mitchell Friedman, a professional and leadership development consultant, trainer, and coach in the San Francisco Bay Area. He shares his great tips to using LinkedIn to land a job. Julia and Molli chime in, saying you should only add people you know or have interacted with. Molli encourages us to tailor our message when inviting someone to connect, because in PR and communications we meet new people every day and we may not remember you if you send us a generic invite. Kristine on the other hand encourages students to take advantage of their position as curious students and reach out to strangers they may want to know better, be it CEOs or managers. Nevertheless, she still agrees that each message should be tailored. For example, in your message say why you want to connect with that person, what do you want to learn from them? 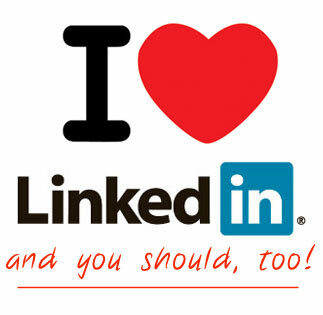 We want to hear about your advice and tips on how to use LinkedIn to build your career. Share your opinions by writing a comment on our blog, send us an email at youngprpros@gmail.com, or send us a message on Twitter @youngprpros, @kristinesimpson, @kentjulia or @mollimegasko. This entry was posted in Young PR Pros podcast and tagged job hunting, job searching, julia kent, kristine simpson, linkedin, mitchell friedman, molli megasko, social-media by Kristine D'Arbelles. Bookmark the permalink.